Roper Rhodes collection of concealed all-in-one shower systems offer a luxurious showering experience combined with good looks. 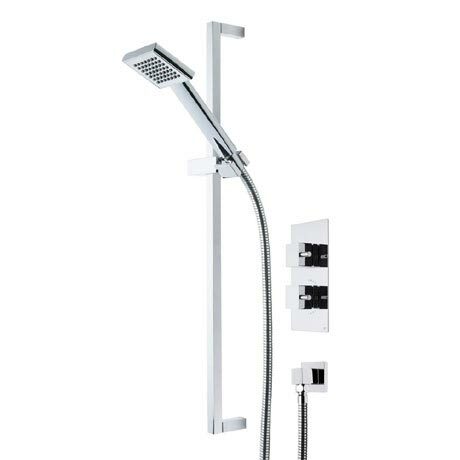 The Event Square Single Function Shower System consists of a single function thermostatic valve, square slide shower rail, shower hose, single function handset and wall elbow. Comes TMV2 approved and is suitable for all plumbing systems with a minimum pressure of 0.1 bar and above.